More great British drama is on its way to CPTV Spirit this fall! 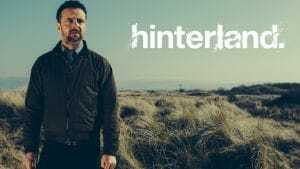 The crime drama series Hinterland comes to Spirit Saturdays at 10 p.m. beginning September 30, 2017. Hinterland is set in the scenic, centuries-old town of Aberystwyth, Wales. The area is a natural crucible of colliding worlds – a place where history, myth, and tradition come face-to-face with modern life – but its panoramic vistas and quaint facade hide a multitude of sins. Into this realm steps the enigmatic DCI Tom Mathias (Richard Harrington of Poldark), a brilliant but troubled man on the run from his past. Together with his equally intelligent and complex partner DI Mared Rhys (Mali Harries of Foyle’s War), Mathias tackles mystifying murder cases that take viewers from the windswept sand dunes of the Welsh coastline to the badlands and beyond.